Today by chance, I visited Zara’s job site and I am highly impressed by its organization structure. Its strategy leads the organization or organization strengths its core competency? Maybe it’s another Chicken-or-the-Egg question. 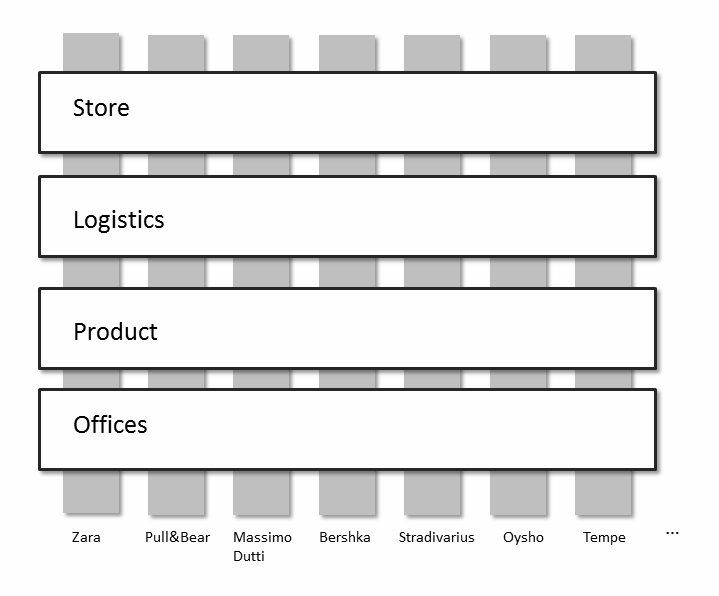 Store: Everything starts from store which delivery product to customer and collect information from customer. Product: streamline design, procure and production. No need to start from starch here in such global economy. Logistics: Fashion competes with time. We know within 3days, Zara can ship its cloth to anywhere in the earth. Focus on route, schedule and timeline. Office: provide service to Zara, from finance, IT, legal and others. It’s not core business and Zara can leverage on the outsourcing trend. The most important, all serves the brands. Brand has its life cycle. However, Zara can easily to copy the structure from other brand to new one.